the Newton's Nook Designs blog! This Biweekly Challenge was a THEME Challenge! 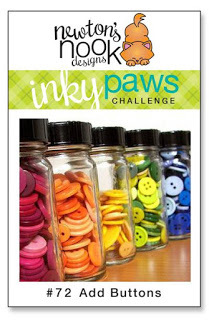 Inky Paws Challenge #73 Winner! 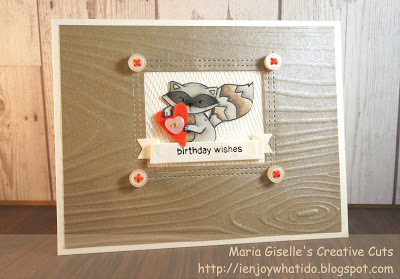 Maria creates this charming card using the raccoon from Campfire Tails (retired). Instead of the raccoon holding a bag of chips, Maria has him holding the fun heart. 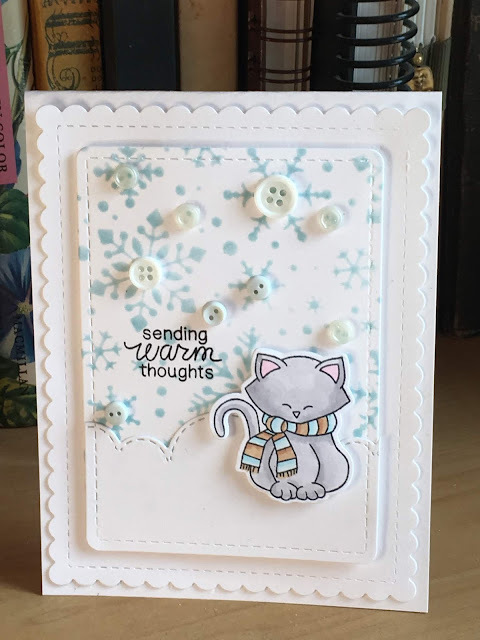 The wood grain background give the card a nice "forest" feel. 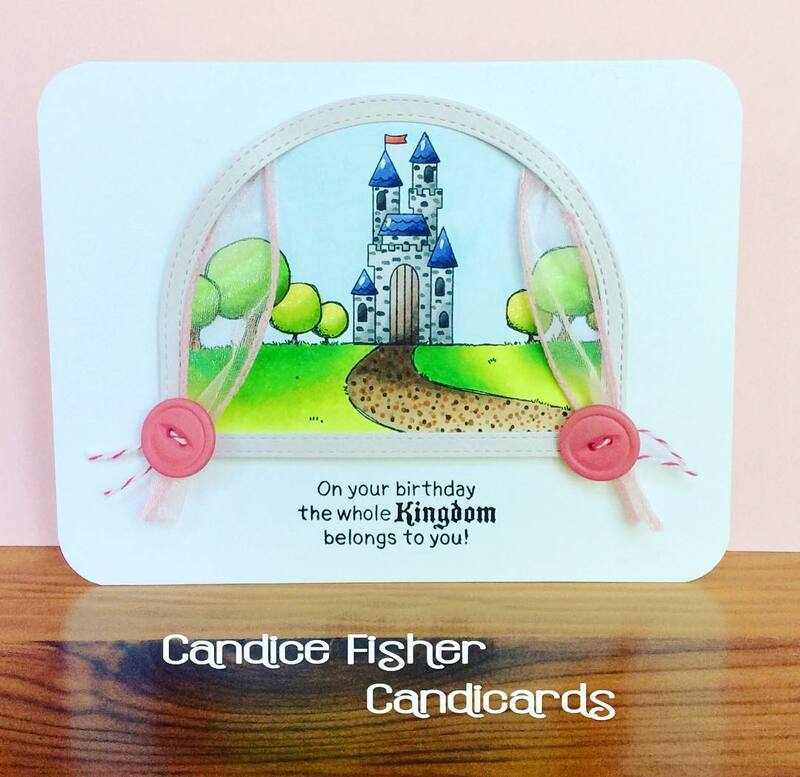 Candice's princess card is just precious! The sheer curtains framing the castle scene from Once Upon a Princess stamp set is so charming. Using the buttons as curtain tie backs is such a clever idea! 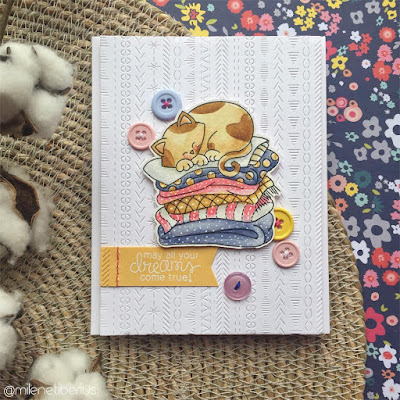 Milene's die cut background and coloring make for this delightful card. Newton from the Newton's Naptime stamp set looks like he is enjoying some much deserved sleep. The splattering of buttons provides for fabulous accents. This sweet scene by Cindy showcases this sweet deer from the Deer Friend stamp set. From the leaves peeking in at the upper corner to the little buttons at the bottom, Cindy's card is fabulously designed. Irene creates her own buttons by making the scarf knots into faux buttons! 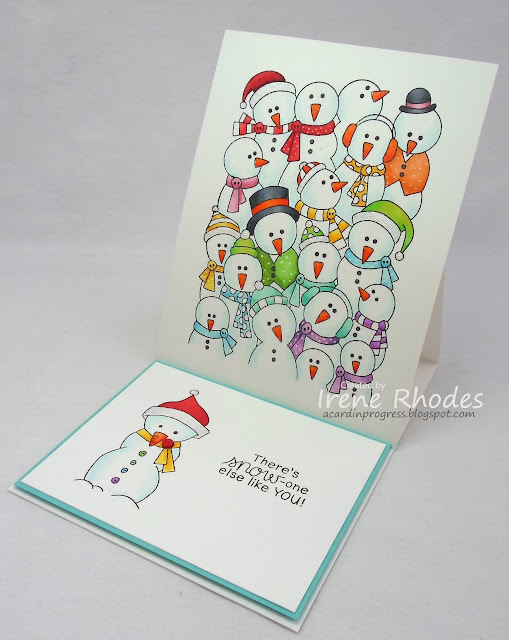 Her sweet coloring of all those snow people from Frozen Fellowship stamp set makes for such a wonderful winter card! Thank you for the shout out!! This makes my week!! Congrats Maria! Congrats to all of the favorites as well; all of the cards look amazing! Thank you for the win! Congratulations to those chosen as favorites!-Maria Giselle B.